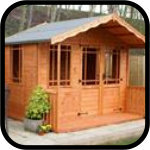 Our range of Ready Built summerhouses offers a huge amount of choice, with buildings of various styles and sizes available. 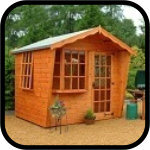 These beautiful garden buildings are finished to an extremely high standard, with 12mm redwood tongue and groove used throughout, on sturdy 50x38mm framing. 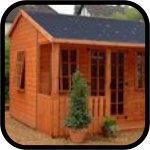 Each building comes with several useful features as standard, such as a factory dip treatment to protect the timber, a 3 lever lock for the doors and antique style ironmongery to provide a classic look. 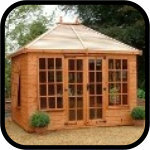 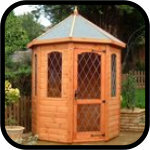 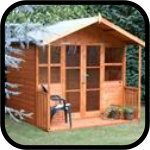 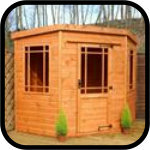 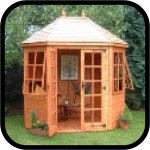 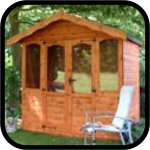 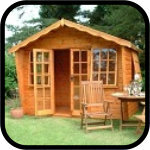 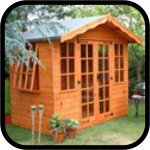 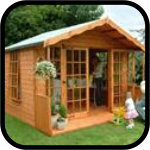 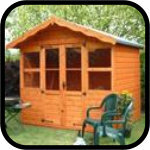 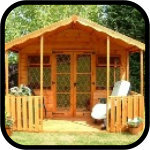 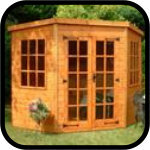 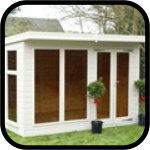 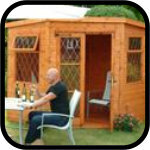 These summerhouses can also be customised and upgraded to meet your individual requirements thanks to a wide range of options, such as a factory painting service, toughened glass for the windows and doors, heavy duty flooring and a choice of roofing material - standard felt, shingles or cedar slatting. 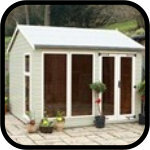 All of the buildings in this range can be delivered and installed free of charge in the Midlands area - please see the delivery map on the individual product page for more information.